Hall will play with the Puerto Rico National Team as they face Orlando City SC in a friendly match to raise money for United for Puerto Rico. SACRAMENTO, Calif. – Sacramento Republic FC midfielder Jeremy Hall has been called up to the Puerto Rico National Team for their “Fuerza Puerto Rico” friendly match against Orlando City SC on Saturday, Nov. 4. Hall is the third Republic FC player to be called up to his respective national team this season, joining Emrah Klimenta (Montenegro) and Trevin Caesar (Trinidad and Tobago). This is the second call-up for Hall as a member of Republic FC, having been previously called up in 2016. The friendly match will be played at Orlando City Stadium and all proceeds from the match will go to United For Puerto Rico, an initiative that raises funds and aids recovery efforts for the island following the hurricanes that passed through this summer. The match will also serve as the final match for Kaká as a member of Orlando City, the club’s first Designated Player and 2007 FIFA Player of the Year. Heath brings three years of MLS experience to Republic FC. SACRAMENTO, Calif. – Sacramento Republic FC have completed arrangements by which the club will receive midfielder Harrison Heath on loan from Atlanta United FC (MLS). Heath brings three years of MLS experience to Republic FC, spending time with Orlando City SC before being traded to Atlanta United FC in Dec. 2016. The midfielder spent his first three professional years with Orlando City SC, joining the Lions on July 17, 2014 when they were still playing in the USL. Heath made six career MLS appearances while at Orlando City, including five starts, and has made two appearances with Atlanta this season. A native of Newcastle-under-Lyme, England, Heath spent his youth career with the Houston Dynamo and Norwich City before signing with Orlando. He is the son of current Minnesota United head coach and former English midfielder Adrian Heath. Burns reports to camp today and will play in four matches as a part of the 10-day camp. SACRAMENTO, Calif. – Sacramento Republic FC U-17/18 Academy defender David Burns has been selected to participate in a U.S. U-20 Men’s National Team Camp, taking place from January 4-14 in Miami. Burns is the second Republic FC Academy player to have been selected for a national team camp during their inaugural season. U-15/16 Academy goalkeeper Mason Finnell was selected to attend a U-15 camp in November 2015. Burns has been a key player for Sacramento Republic FC’s U-17/18 Academy team (6-3-5, 23 pts) which currently sits in third place in the U.S. Soccer Development Academy’s Northwest Division. Burns has appeared in nine matches this season, starting eight and has been a part of four of the U-17/18’s five shutouts this season. Burns is a student at Charter University Prep in El Dorado, Calif. and played for San Juan Soccer Club before joining the Republic FC Academy this season. Burns has committed to play soccer at the University of California, Berkley next season. The U.S. U-20 Men’s National Team camp begins today, January 4, and will run through January 14. The players will compete in four matches during the camp. The first two matches will take place on January 8 and the final two will be played on January 12. The players at the camp will be competing for a spot on the U.S. U-20 Men’s National Team during the 2017 FIFA U-20 World Cup in Korea Republic. The U.S. U-20 Men’s National Team is coached by former U.S. MNT and MLS player, Tab Ramos. The Republic FC Academy is a member of the U.S. Soccer Developmental Academy, which was formed to provide education, resources and support to clubs, helping develop world-class players. The USSDA also connects National Team coaches directly with Academy clubs to develop and identify players and coaches for future National Teams. For more information on the U.S. U-20 Men’s National Team camp visit USSoccer.com. 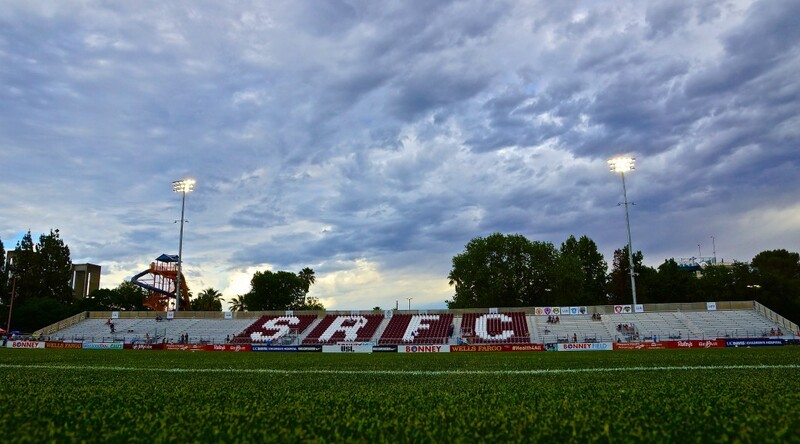 For more information on the Republic FC Academy visit SacRepublicFC.com.